When it comes to sustainability, the business case is workable from all angles. Not only is it far more cost effective to invest in sustainable practices, but it keeps workers happy. 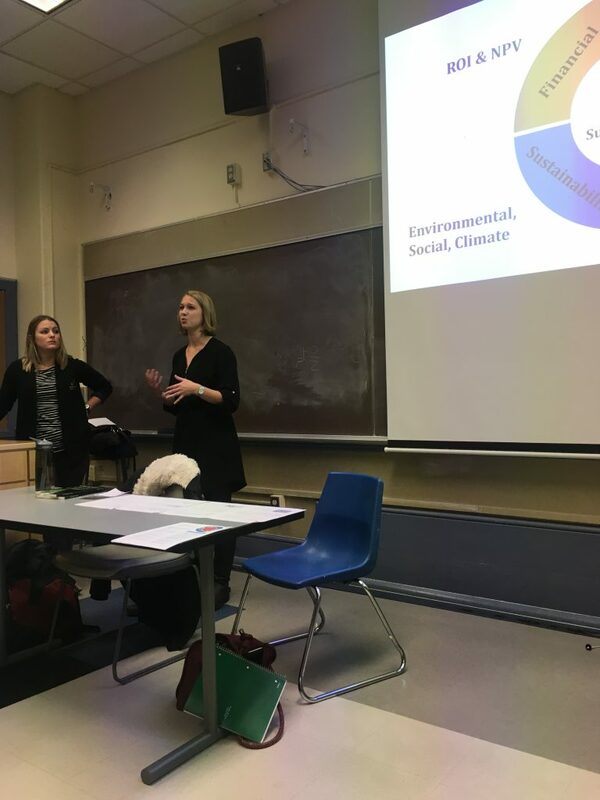 On November 7th, the UW Green Greeks learned from two women, Annie Thomas and Katie Secrist, who work as consultants at Sustainable Business Consulting, located in Seattle. Essentially, what they do is help different companies integrate sustainability into their business model. They do so by assessing sustainability efforts across all departments and listening to what the business is struggling with and offering assistance where they can. So, what does the next generation of business look like? Regarding Generation Y and millennials, 88% of grad students and young professionals factor an employer’s CSR (Corporate Social Responsibility) score into where they want to work. 88% would consider leaving their job if their company’s CSR performance no longer held up. Therefore, people want to support sustainable business and are not interested in supporting companies that are lacking in this area. There are several universal barriers that need to be overcome for business to make the switch. People are frequently overworked and do not have the time to implement any changes. Sometimes people don’t feel empowered and experience a sense of apathy and loss of enthusiasm. So, what is the solution? Several big-name companies have implemented changes that have greatly improved the quality of their business. For example, UPS stopped taking left turns on delivery routes and saved $50 million. Washington State Convention and Trade Center installed more than 6,000 energy efficient lighting fixtures, which saved them more than $120,000. The simple things make a huge difference. The argument here is that it’ll always be worth it to make a change. People will be happier coming to work and the company will save a considerable amount of money. Thank you, Katie and Annie, for your wisdom and expertise in this field. It’s inspiring to know that there are strong players making the business case for sustainability in our community every day! 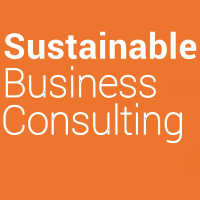 To learn more about Sustainable Business Consulting and the work that Katie and Annie do, click HERE!